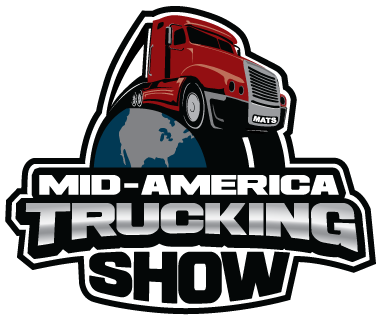 The Ticket Clinic is hitting the highway to attend The Mid America Trucking Show to connect with professional drivers across the nation. This conference will take place March 28th to the 30th and is one of the largest in the country. Over 80,000 transportation professionals are expected to attend and we hope to meet as many as we can! “With more than 1,000 exhibitors for 10 years running MATS offers attendees the opportunity to experience the entire industry through hands-on demonstrations and Face to face interaction with product experts.” We’re excited to connect with drivers and to check out all the chrome and customization at the Beauty Show Truck competition. Don’t have a ticket but plan on being in the Louisville area? You can purchase tickets at the door for $10 and submit them for your registration at any registration desk within the show. To access the show floor, you must display your Attendee Badge at all times. Two of our experienced CDL attorneys will be manning booth #66108 available to answer any questions. 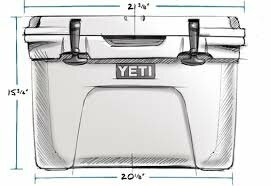 We’ll also be giving away a Yeti Cooler to keep your snacks and beverages chilled on long stretches of highway. We’ll be around all weekend so if you’re in Louisville Kentucky for MATS make sure you stop by and say hello. Check out the floor plan here. We love truckers and have a deep appreciation for the industry that drives America. Since 1987, we’ve helped thousands of transportation professionals with all types of traffic citations that could jeopardize a CDL driver’s good standing such as speeding tickets and even accidents. Good luck finding another law firm that understands traffic better than us. We understand your job is tough so we strive to make stressful situations affecting your license a little easier. We thought this conference would be a great opportunity for us to inform drivers about our new special program for CDL holders and fleet services administrators. Benefits include a discount on legal services, quick access to knowledgeable CDL attorneys, free gift and membership card. Best of all, this program is completely free to all transportation professionals and you can sign up in just a few minutes.